While many people are aware that workplace accidents can and will happen. Many of them are not aware of how much of a role electricity plays in those accidents. Unresolved electrical issues can lead to injuries and death. 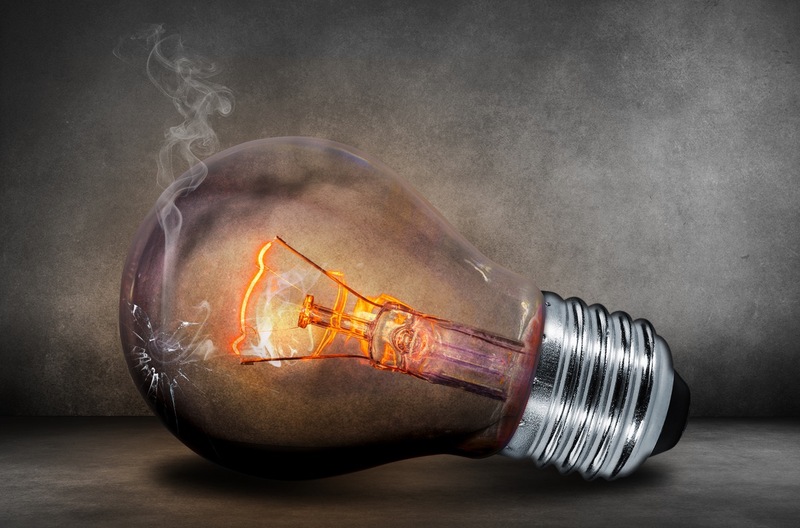 In an effort to boost awareness about the dangers that electrical hazards present, check out the following warning signs that it’s time for you to hire a commercial electrician. How many times have you heard an employee ask about a strange smell or odor that’s permeating all throughout the office? How often have you been sitting at a desk or standing near one when you suddenly started to smell something like burnt plastic, rubber or electrical wires. Believe it or not, strange smells can be good indicators that something is going on with some of the electrical wiring in your facility. You should never ignore any odd odors that you notice coming from any of your work equipment or building. If you believe it is electrical in nature, you should err on the side of caution and contact your local commercial electrician just to be safe. Sometimes faulty wiring will give off popping and crackling like sounds. There may even be some sparks. Anytime you or your employees hear these sounds; you should stop using the electrical outlets and affected equipment immediately. A report should be made so that proper notice can be given to all employees warning them of the dangers and your commercial electrician so he can come and repair the issue to prevent accidents and injuries. No matter how minor they may be, electric shocks are not fun to receive. If your employees are complaining that they’re getting shocked every time they touch certain equipment or use certain outlets, don’t ignore them. Instead, contact your commercial electrician right away. Electric faults exist somewhere in the wiring that needs to be resolved as soon as possible to prevent them from getting worse and becoming more of a safety risk for your employees. This is perhaps one of the most frustrating electrical problems your employees may encounter. If every time they go to plug up devices, power to the area goes out, that means a fuse or two has blown. When they blow frequently, it means that your workplace is not wired to handle the electrical demands that are being placed on it. You’ll need to have your commercial electrician come out to redo the wiring by adding more lines. If you are thinking about having some renovations done to your building to improve its function and appeal, don’t forget to have the electrical wiring updated by a commercial electrician as well. Many employers forget to do so only to end up experiencing electrical problems with their facilities later on. To avoid the need for electrical renovations later on, get them out of the way while your renovations are going on. It’ll be cheaper that way because there are fewer walls and structures to go maneuver through. Don’t take chances with your building electrical wiring. Even the smallest electrical nuances can turn into major repair hazards for your workers. Bear in mind that it is your responsibility as an employer to provide your workers with a safe and hazard-free work environment. If you fail in duties to keep your building safe, you could end up dealing with workers’ compensation claims, litigation and other inconveniences that may hurt your profits and reputation. If you have any electrical malfunctions or concerns, don’t hesitate to contact Gervais Electric at (615) 965-8420 for commercial electrical repairs.